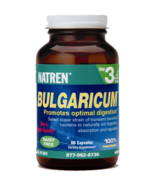 Natren produces the finest quality probiotics, or "beneficial bacteria," and is internationally recognized for its pioneering work and research in the nutritional supplements industry. With humble beginnings in the home of husband and wife team, Yordan and Natasha Trenev, Natren was destined for success -- Natasha's family supplied yogurt to King Peter II and the royal family of Yugoslavia, where she was born. With the surge of interest in holistic approaches to health and the focus on preventive care, Natren's impact on the health industry continues to multiply. Yordan has said about Natren's mission, "We want to do the same with probiotics. 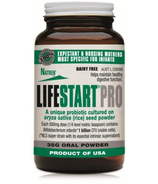 We want everyone to know what probiotics are within the next few years." Evidenced by Natren's immense growth and its support among healthcare professionals, Natren is making impressive progress toward this goal.